Active Calendar can be used to provide new contacts to your existing Constant Contact lists. This allows for you to grow your contact lists automatically as visitors browse your calendar. Active Calendar allows for you to add the following types of visitors to your contact lists in Constant Contact. Visitor Profiles are created by your calendar visitors. With a visitor profile they can track regisrations and purchases, create subscriptions and alerts, view their upcoming and favorite events, and (if enabled) submit events. Registrants are created when a person registers for an event, and provides their first name, last name, and email address. Distinct from registrants, a purchaser is the person who was listed as the order contact when completing the checkout process. Authorize Active Calendar to interact with Constant Contact. Step 1: Click the "Continue" button. Success: The message,"Active Calendar has been authorized to interact with Constant Contact." will be displayed. Once Authorized, you can select which list in constant contact your visitor profiles, registrants, and purchasers will be automatically added to. Select a single List from the drop down for each type of Active Calendar User that you would like to add to constant contact. 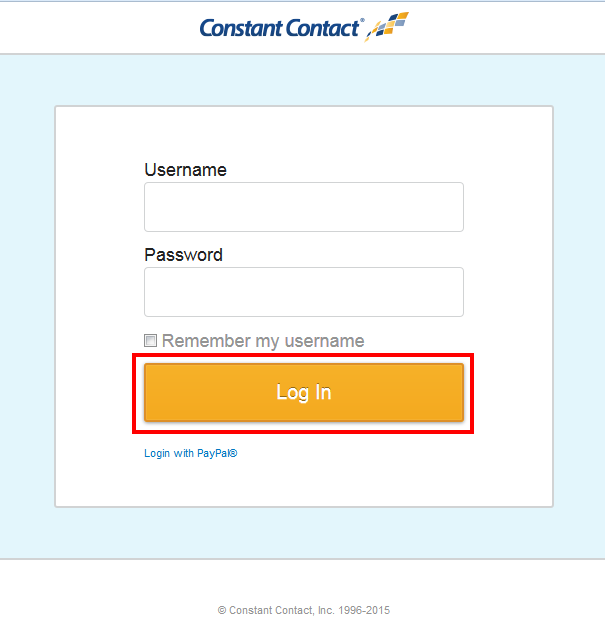 Click Save to begin sending Contacts to Constant Contact. Constant Contact configuration is unique to, and must be configured for, each Active Calendar Site. If you are a premium license account with multiple sites, this allows for your organization to integrate with multiple constant contact accounts.